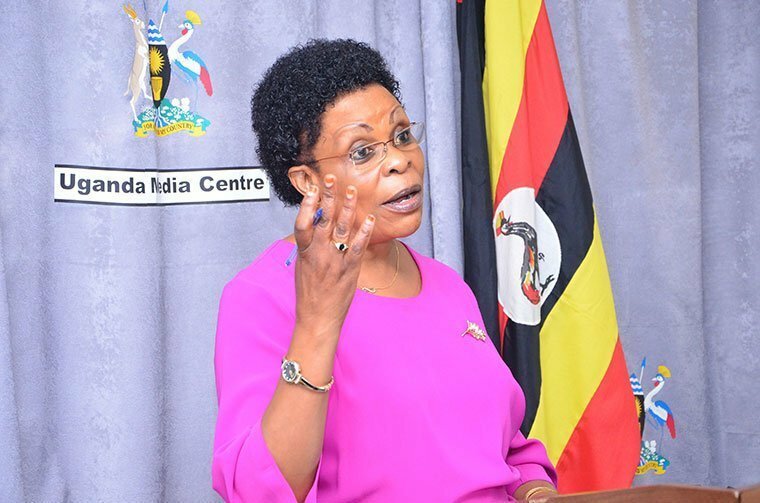 KAMPALA – The leadership of the Uganda Federal Alliance (UFA) fired Ms. Beti Olive Namisango Kamya as the party president with immediate effect. In July 2016, President Museveni named Kamya, the UFA president as the Minister in charge of Kampala to serve in the NRM government. She has since become a strong defender of Museveni and a critic of those who opposes him. UFA members on Tuesday told journalists that Kamya has on top of neglecting her duties tried to sell the party to the ruling NRM government. Mr. Byayi said that after consulting the National Executive Committee, Central Executive Committee and district leadership for the party, it was agreed to have Beti Kamya axed as their president because she is representing divergent views from those of the party. The party announced their national mobilizer, Francis Nsibirwa as the new president. Byayi said they are in preparations to hold a national delegates conference where they will elect other party leaders. They also vowed to make life difficult for Kamya. Efforts to reach Kamya were futile after we were told she was still in Kyankwanzi for the NRM retreat.